Caregiver of the Month and Caregiver of the Year Awards. CHC launched these awards to recognize individual caregivers for their outstanding service to CHC patients. We’re proud to feature the awardees on our website. Check back each month for a new caregiver profile, or browse the archive to see more members of our exceptional team. 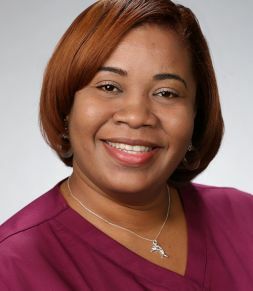 Patricia Flores is a Certified Nurse Assistant and certified Home Health Aide who has worked as a caregiver for five years. Her qualifications also include first-aid certification. Patricia joined Complete In-Home Care (CHC) in early 2015. She is experienced in working with Parkinson’s, dementia and cancer patients — and passionate about providing high-quality personalized care on every assignment. Patricia has pleased her CHC patients and impressed their families with her kind, attentive and efficient service. Outside work, Patricia enjoys spending time with her family, cooking, reading and listening to music. She also enjoys karaoke, although she admits she can’t carry a tune.